Located in Brussels (Quartier des Libertés - Vrijheidswijk), Hotel Du Congres is within a 15-minute walk of La Grand Place and Brussels Park. This hotel is 0.5 mi (0.8 km) from Belgian Comic Strip Center and 0.6 mi (1 km) from Royal Palace of Brussels. Make yourself at home in one of the 73 air-conditioned rooms featuring fireplaces and LED televisions. Complimentary wireless Internet access keeps you connected, and satellite programming is available for your entertainment. Conveniences include desks and minibars, and housekeeping is provided daily. Make yourself at home in one of the 2 guestrooms featuring DVD players. Complimentary wireless Internet access is available to keep you connected. Bathrooms feature showers, complimentary toiletries, and hair dryers. Conveniences include laptop-compatible safes, and irons/ironing boards can be requested. Cosy and functional, the 3-star Hotel Retro is found in the centre of Brussels, a few steps from the city’s museums, shops, bars and restaurants surrounding Rogier Square. The perfect base for exploring the city, the hotel has a business centre for corporate travellers and it’s easy to stay connected with free high-speed wi-fi. An optional breakfast is served in the lounge every morning, and all guest rooms have flatscreen TVs and air conditioning. 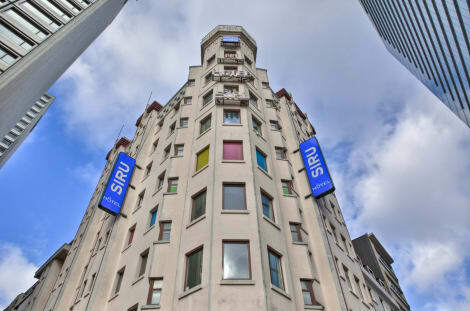 The 3-star Hotel Siru is perfectly placed for exploring Brussels, set beside Place Rogier, close to the shops on Rue Neuve and within easy reach of the iconic Grand Place. The bright, vibrantly decorated rooms include flatscreen TVs, private bathrooms and free wi-fi access. Guests can also make use of a fun recreation room, equipped with a pool table and widescreen TV. Before heading out, kick start your day with a full continental breakfast of pastries, fruit, juices and fresh coffee. With a stay at Best Western City Centre in Brussels (Lower Town), you'll be a 2-minute drive from Belgian Comic Strip Center and 6 minutes from Brussels Park. 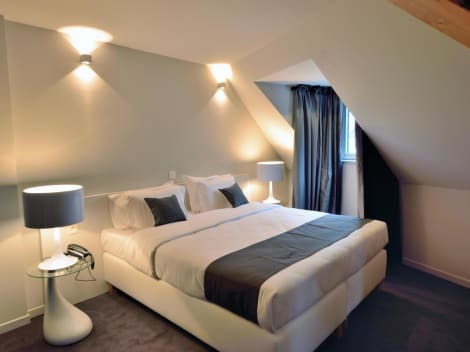 This hotel is 1.5 mi (2.4 km) from La Grand Place and 4 mi (6.5 km) from Atomium. 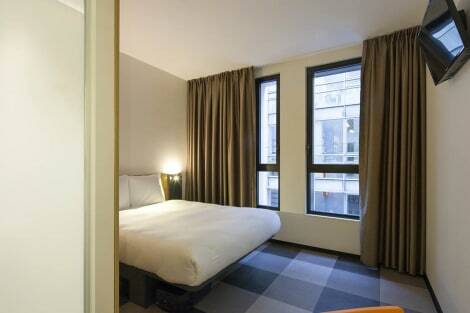 The easyHotel Brussels City Centre offers comfortable, budget rooms in the heart of Brussels. All rooms are equipped with private bathroom facilities, air-conditioning, free wi-fi and a TV. The reception of the hotel is open 24-hours, to provide any assistance during your stay. A great choice for both business and tourist travellers, the city’s main shopping areas and the cultural district are only a few metres away, or you can take a stroll to see the famous Manneken Pis, and St Michael and St Gudula Cathedral.